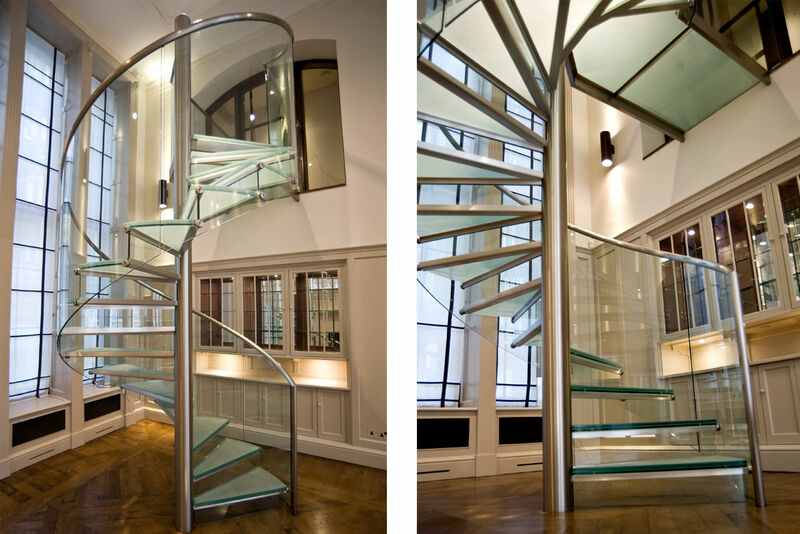 Single flight spiral staircase with glass treads and balustrade supported on the G-Fin system. 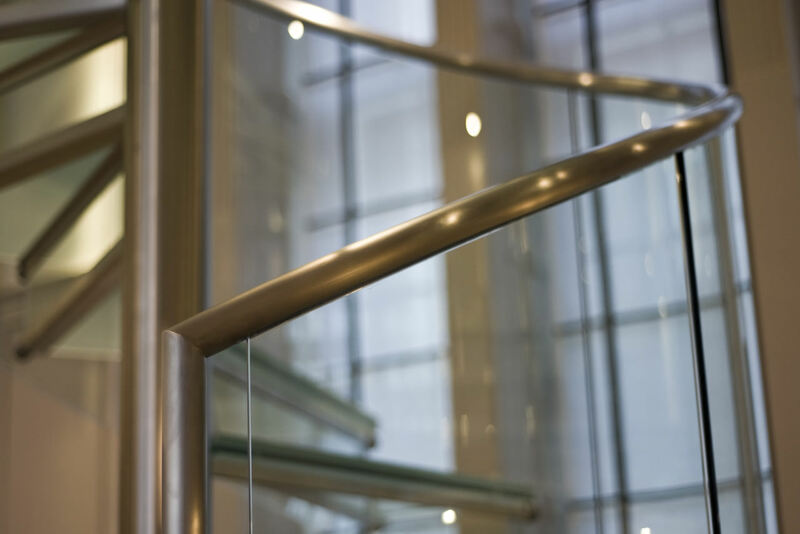 Also features a satin polished stainless steel handrail and centre column with bridged landing allowing access to lower level storage. 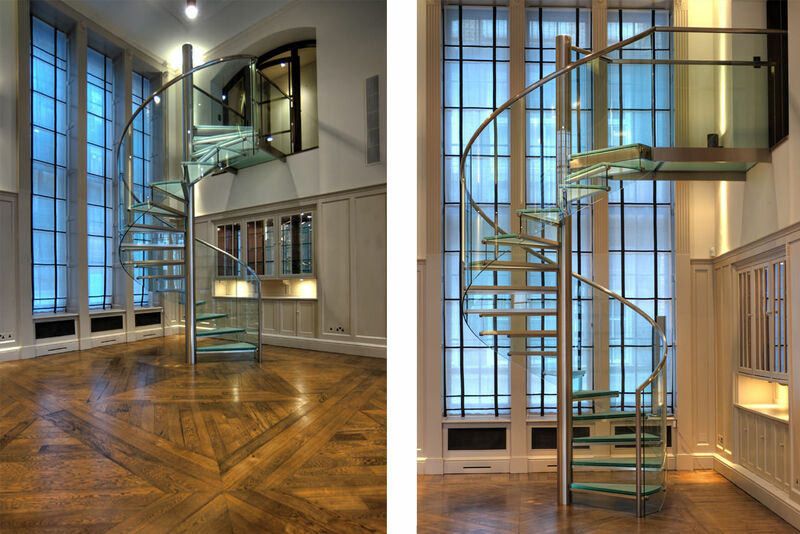 This stunning staircase blends contemporary with the existing traditional interior of this high class London apartment.